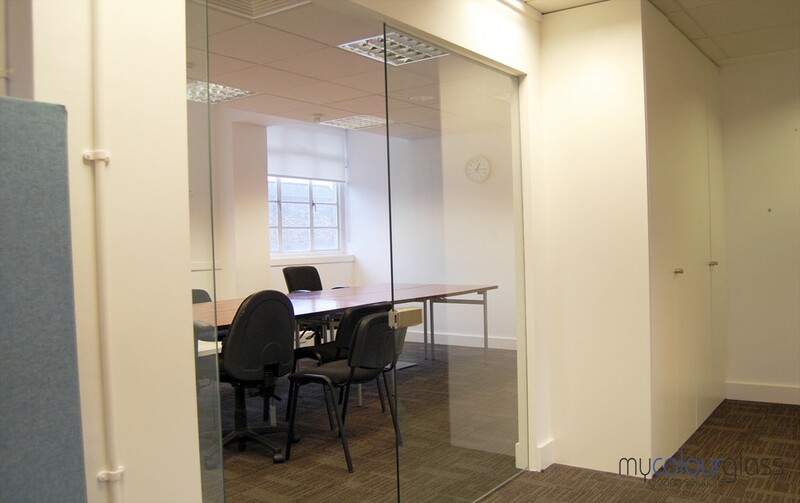 Glass partitions add a definite classy touch to your decor with many benefits in the home or office environment. What makes them really special is the choice of colourings and tints available with the modern methods for manufacturing toughened glass. New selections are on the horizon everyday. You probably all remember the standard glass partitions in the “old school” offices behind a partitioned window. Usually a wooden type paneled wall went half way up with the glass in the upper portion of the wall. Often, bland type blinds could be drawn shut for added privacy as needed. It would be okay to keep the blinds, but with the colour choices on the market today, at least the blinds should display some colour. “Slate Gray” and “Sleek Black” coloured blinds look great with contemporary decor. White blinds do look good with gray or black as the main colour in the overall palette, such as in the wall cladding. Many good uses with a fantastic decorative flair are being offered in these times of ever growing innovations. There are no set rules when it comes to using glass partitions to their fullest extent. Lets look at some of the possibilities. Office Partitions– Gone are the standard office partitions with the stale white blinds, as mentioned. In this day and age the office environment has gone chic with a taste of contemporary. Why not create a spacious environment in your working area where a large amount of time is spent? This especially applies to firms that specialize in advertising and other types of creative consultancy businesses.You will find that clients are more likely to be obtained, and kept, in a tasteful well thought out decor. Modern decor in the office environment calls for floor to ceiling glass partitions. Smoked glass is nice, but why not try something a little different, such as a deep cobalt blue? Digital printing would also be nice in a “not so busy” geometric design. Home Interior- Home interior design can really benefit from glass partitions, not only in looks, but in use. If you have a nice spacious home that cries out for modern design intervention, try adding glass partitions. So many get “stuck in a rut” when it comes to the traditional standards of interior design for the home. Go for a nice clean contemporary design. You will be glad that you did, because it not only looks clean, it is also very easy to keep clean. Glass partitions would be really nice for the ultimate in “nursery” room atmospheres. A glass partition in the baby or young child’s room as the main wall facing the hallway or main part of the house will create a feeling of spaciousness and open air.If the child’s bedroom or play room is on the upper level, you will be doubly fortunate, especially if it is facing a loft or balcony type opening to a full cathedral ceiling. 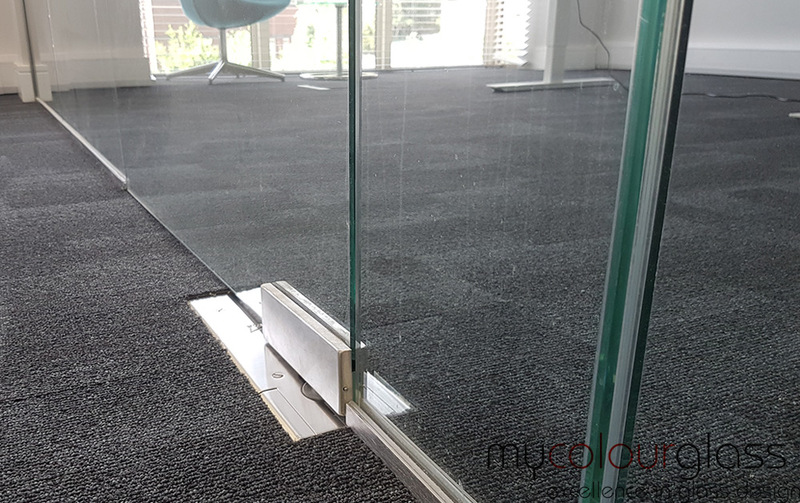 A floor to ceiling glass partition is completely safe and durable with toughened glass of your choice. 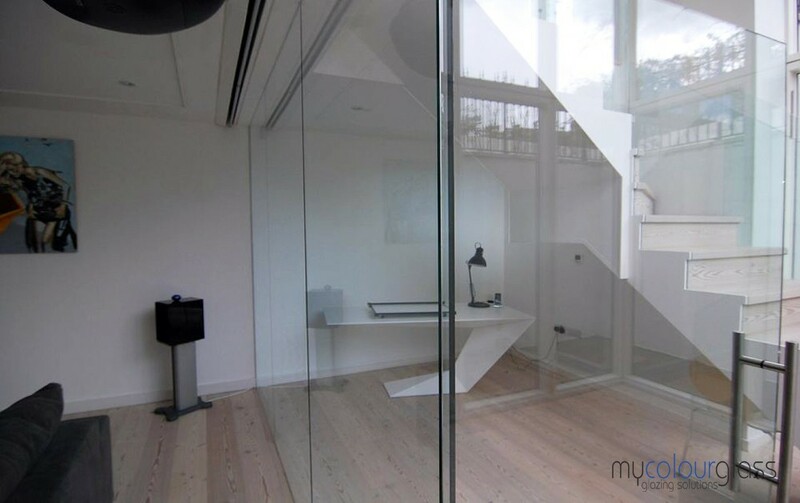 Glass partitions in the home or office environment are seemingly infinite when it comes to the design possibilities. In the home they can be used in several places to add a feeling of spaciousness. You can even add glass partitions to the outdoor area and around your patio. The same goes for the office environment, as talked about earlier. 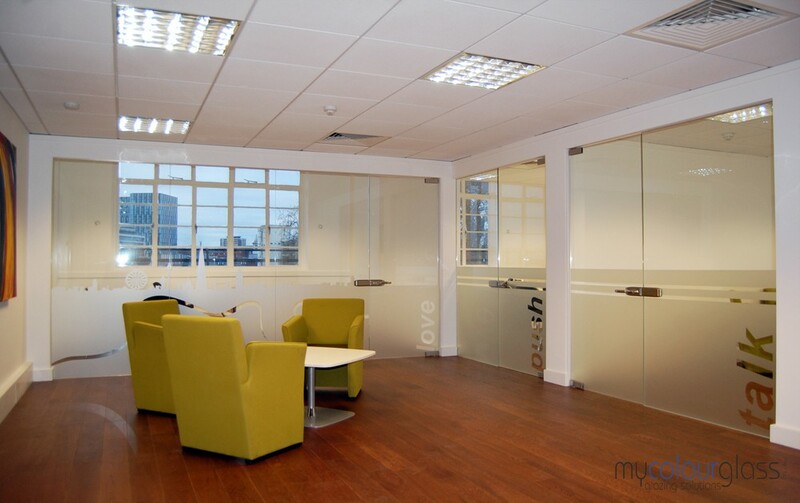 Take advantage of the wonderful offerings and designs in glass partitions at MyColourGlass. 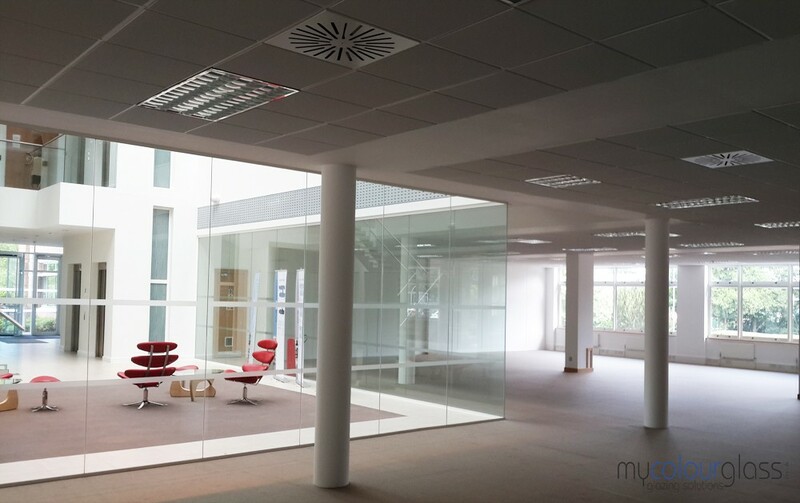 Bring the sunshine or a beautiful view into your commercial or residential space with glass partitions from MyColourGlass. Whatever the design, we will deliver a solution that meets your requirements with our up to date and innovative ideas. 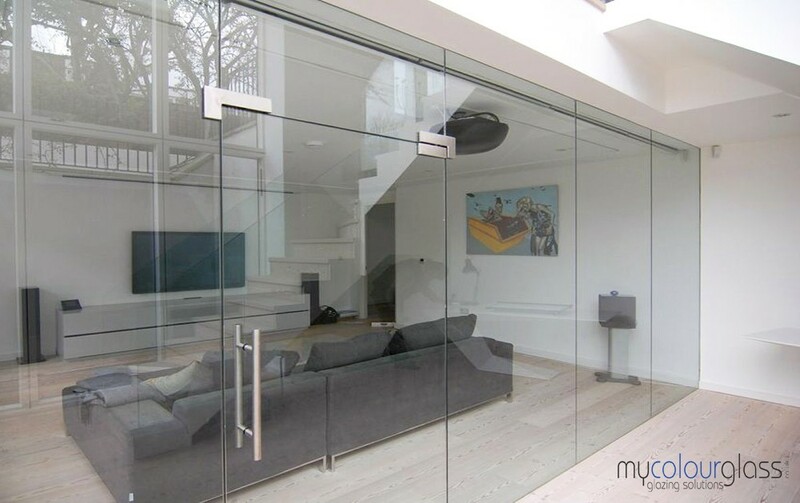 MyColourGlass will manufacture and install your next interior glass partition. Let the sunshine in or make space seem larger with glass partitions. 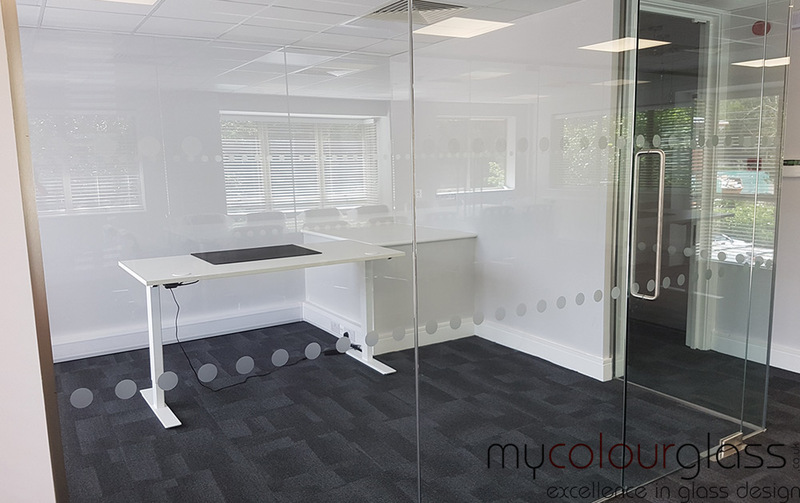 Perfect for both commercial and residential spaces, a partition is a great way to divide a room or area to retain privacy and the maximum amount of space. Regardless of the layout of your area or design, we will deliver an innovative, modern solution that meets all of your requirements. Using a glass partition is also a great solution in the home to create a fully enclosed area, to repurpose a room into two rooms, or to utilize otherwise unused space. When you put a wall up like that in your home, you can take any area of your house, even under the stairs, make it into its own space, and prevent it from feeling claustrophobic. Our partition systems are completely custom designed to suit your needs and constraints. 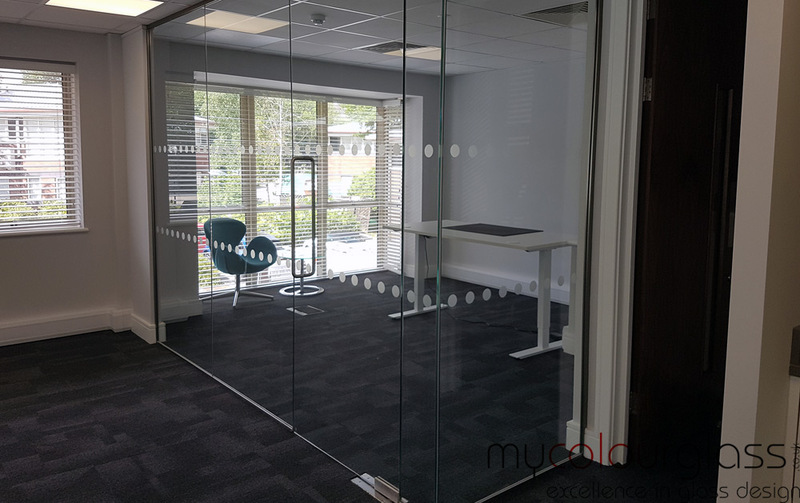 We provide a range of glazing options, including clear, tinted, sandblasted, printed or laminated glass. Our hardware is specially chosen to ensure it fits the rest of the space’s design, or you can opt for something completely different to make a design statement. For the best glass and service, ask MyColourGlass to quote on your next project. We prioritize using top-notch products so we can constantly deliver the highest quality projects. With our expertise and detail-oriented approach, we can promise you complete satisfaction with your project.